Blackjack is the most popular game in any casino. Gamblers like to play it online and offline in both ways. This is entirely a mathematician's game and logic is used to play the game. 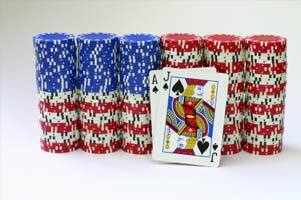 Some betting strategies and techniques for counting are there that can help to create more chances to win. Players are able to create their own small edge by eliminating the house edge. If any player does not care about the strategy then there is a chance of placing bad bets and the edges of house will be increased and casino will make more money. So, if any player wants increasing the point he/she has to do hard with blackjack hands, pairs, soft hands which have to be dealt. Always to follow blackjack strategy chart. The soft hands are not like hard hands where players do not need to deal with ace or pair. In case of soft hands players have to deal with aces. The hands are measured as soft hands as aces are taken as soft cards in blackjack game. The value of ace might be 1 or 11 according to cases. How to play A2 and A3w? If you have a 2 or 3 Ace card and your dealer has a value of 5 or 6, it is better to double down. If you can't double down you should go for a hit. In case your dealer does not have an Ace of value 5 or 6, you must hit without any doubling down technique. If you have an Ace carrying value of either 4 or 5 and your dealer has a card of any of the values 4, 5 or 6, it is better if you double down. If there is no chance of any double down, you should try a hit. If you find that the dealer has cards of any value other than 4, 5 and 6, you do not need for doubling down and can hit directly. The A6 card is called the soft 17. If you get this Ace, while your dealer has a card with any value ranging from 3 to 6, you must go for doubling down. In case your table does not permit this, you should go for a hit. You can go for hitting without doubling down if you see that the dealers have any other cards. How to play the A7? The A7 card situation is called the soft 18. If the dealer got a card of value 3 to 6, you can double down. If the card value of dealer is 2, 7 or 8, you must take a stand. You should hit if the card values of the dealers are 8 or 9.